I tried several technique to try and make the Rock at Standing Rock look more interesting. I finally settled on a dry brush effect. I came to the reality that a "rock is a rock is a rock" and you cannot make it look like anything else but a "rock". This is the sign to the entrance of the town. 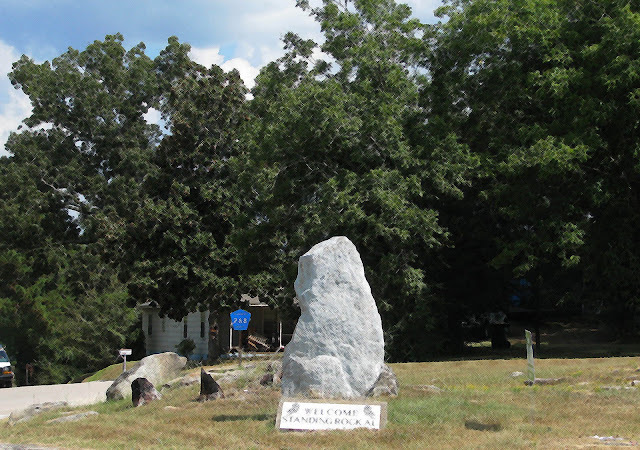 On Flickr there is another photo of the "Rock" taken by Jimmywayne. He posted this information: "This rock, according to local legend, was left standing by the Indians before they were removed West to Oklahoma. Should it ever be moved or laid down, terrible things would become the locals."